Those recently visiting The Works at the museum will have noticed we’ve got a special guest staying with us for a while. Pacific A4 4498 / 60007 Sir Nigel Gresley is having its ten-year overhaul right here at York and will be available to view from the balcony for up to 3 years. 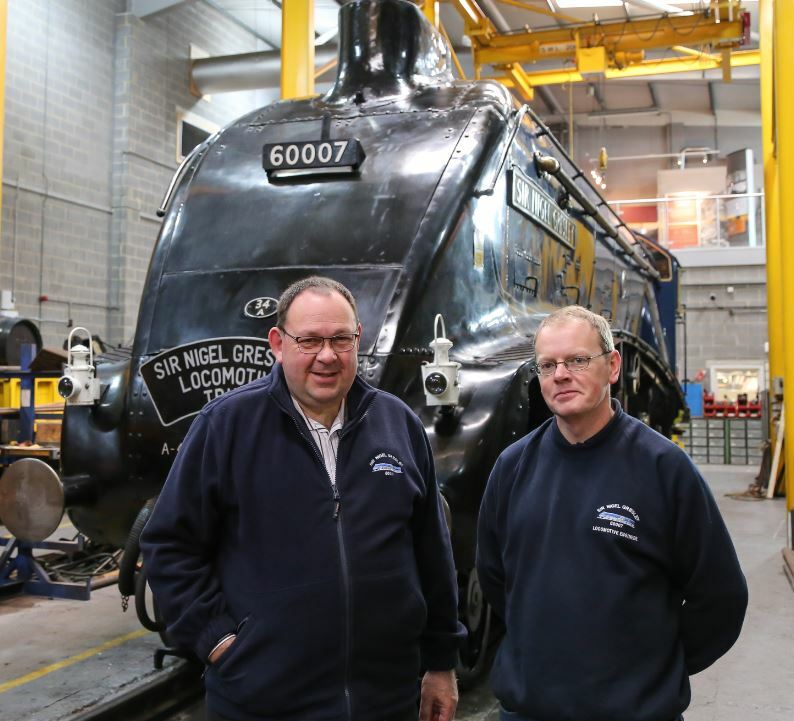 John Wilkinson (left) and Darrin Crone (engineer) stand proudly on The Works floor in front of the loco. The loco has operated continually from August 1943 through to the present day. It is one of only six A4’s remaining in the world and the only one that is owned and operated by members of a charitable Trust. 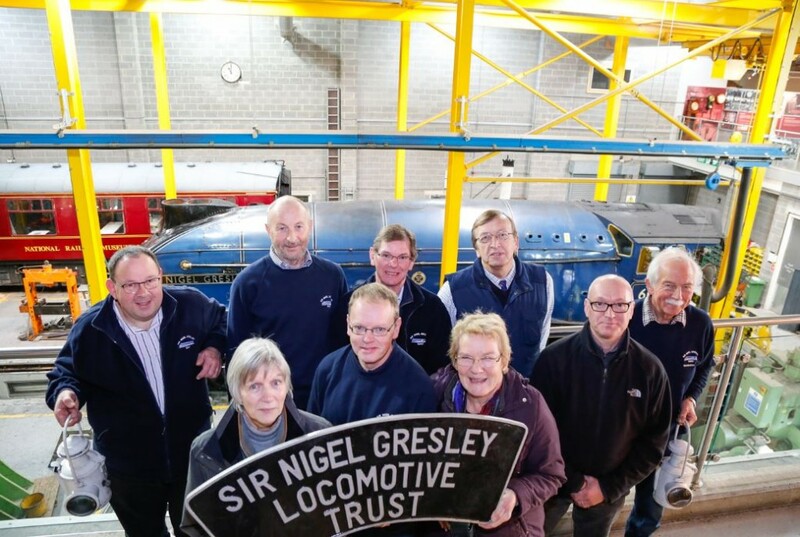 Find out more about the Sir Nigel Gresley Locomotive Trust (SNGLT). Sir Nigel Gresley’s current tender was Flying Scotsman’s tender between 1929 and 1936. When SNGLT bought the engine off British Railways in 1966, it had a full overhaul and obtained the wheels from sister A4 ‘Miles Beevor’ in addition to the boiler of 60016 ‘Silver King.